A fiduciary duty arises when there is such a close relationship between parties that the law imposes a duty of care. The person or entity who owes the duty is the fiduciary, and the person to whom the duty is owed is the principal. Examples of when a fiduciary duty exists include a board of directors’ duty to shareholders; a majority shareholder’s duty to minority shareholders; an asset manager’s duty to investors; or a business or real estate broker’s fiduciary duty to clients. Even indirect relationships (e.g., between unsecured creditors and the underwriter of a debtor’s initial public stock offering) may result in damages for breach of fiduciary duty. In New York, an individual who induces a breach of fiduciary duty may be liable for the fiduciary’s breach. Your New York commercial litigation attorneys can advise you regarding any potential fiduciary duty. When the fiduciary duties of care, honesty, or loyalty are breached, an injured party may be entitled to money damages, including compensatory damages or possible punitive damages. 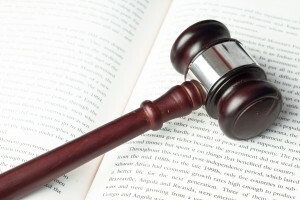 Other remedies possibly available are equitable relief, which could include an injunction or specific performance. Examples of such equitable relief are a forced buyout, a corporate dissolution, the removal of the fiduciary, or an accounting. Because statutes limit the time within which a plaintiff may file an action, it is important to consult your New York commercial litigation lawyer to determine the legal issues involved and the applicable statute of limitations. To prove breach of fiduciary duty, your New York commercial litigation attorneys must show that a fiduciary relationship exists, that there was misconduct by the defendant, and that damages were sustained as a direct result of that misconduct. Experienced New York commercial litigation attorney Michael Hiller – who was named a New York Super Lawyer for five consecutive years — can advise you on your breach of fiduciary duty claim. Call 212-319-4000 to schedule a free initial consultation.